Log cabin ideas and inspiration can sometimes be hard to find. Trawling the internet you can see all the standard designs easily enough. But to really get the feel of a log cabin or garden building you do actually need to see it, touch it and go inside it. In the UK right now there are no dedicated log cabin trade fairs. 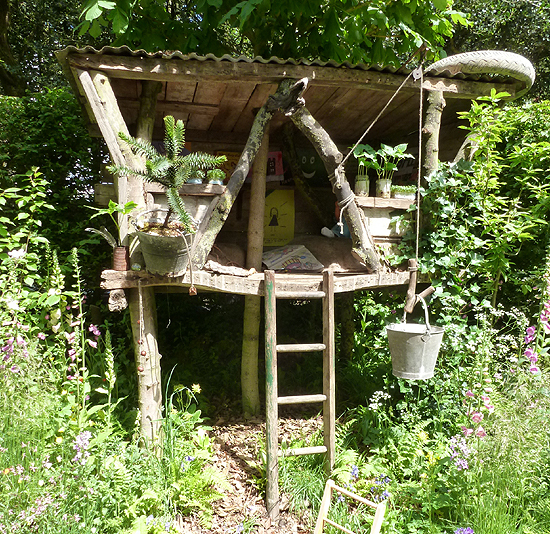 But at gardening shows such as the Chelsea Flower Show you will see innovative garden building designs in the show gardens plus get to see a wide variety of cabins, sheds and summerhouses in the trade areas around the show. 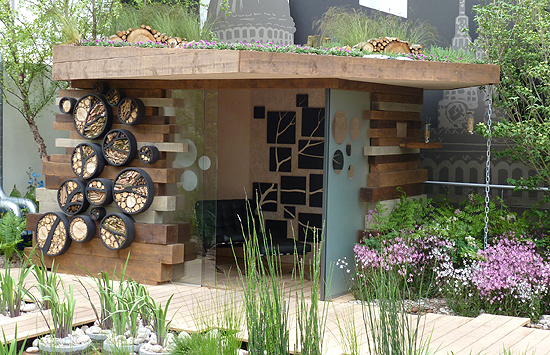 London’s RHS Chelsea Flower Show 2013 showcased some exciting new designs that could be incorporated into any log cabin design. 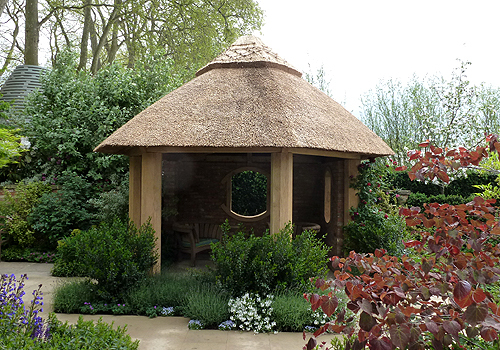 The Centenary Garden designed by Roger Platts had a wonderful brick and timber roundhouse with a traditional thatched roof. The Blue Water Roof Garden designed by Professor Nigel Dunnett had a sleek modern timber and glass cabin incorporating habitats for insects and a beautifully planted environmentally friendly green roof. 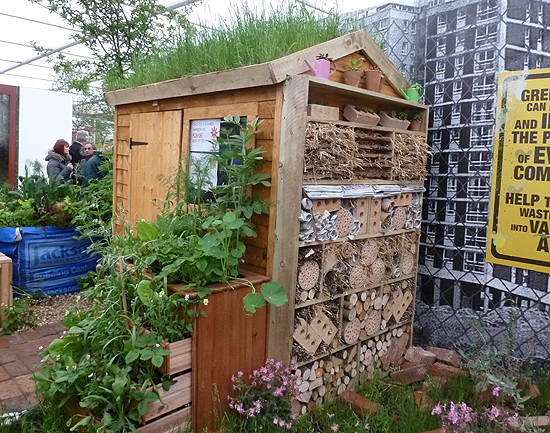 Inside the main pavilion, the eco charity Groundwork who help communities to transform derelict areas into community gardens, demonstrated how even the humblest garden shed can become a varied micro-habitat for birds and insect life. 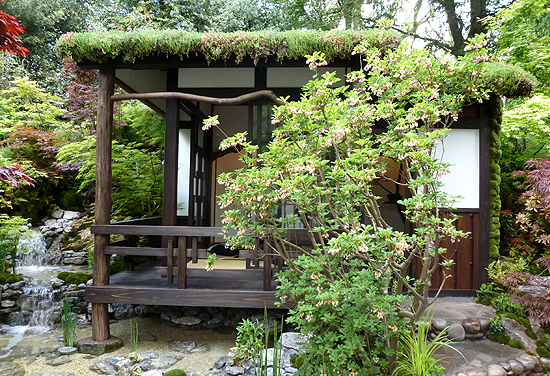 For those tired of the usual pergola and pagoda designs, but preferring to look east for log cabin inspiration, Ishihara Kazuyuki’s Alcove Garden had a tranquil oriental garden sanctuary set above running water with a meditative veranda and green eco roof. Finally in the Artisan Gardens area, the NSPCC’s Gold Medal-winning Garden of Magical Childhood featured an archetypally British take on the log cabin theme; a secret children’s treehouse in which no piece of timber was true and every angle charmingly crooked – quite a refreshing antidote to the average log cabin kit! This entry was posted in Log Cabins and tagged Log Cabin Ideas, RHS Log Cabins on June 27, 2013 by dsr56WX.